Posner Henderson & Goslee Dentistry is your comprehensive general, pediatric and orthodontic practice. Our dentists in Bristol, CT provide services for the entire family, and will always take the time to make you feel welcomed and appreciated. Drs. Howard J. Posner, Marc Henderson and Matthew Goslee work together to provide an all-inclusive dental experience, from pediatric dentistry and general dentistry to orthodontics and cosmetic restorations. Dr. Posner and Dr. Goslee are Premier and Preferred Invisalign providers with over ten years of experience treating patients with Invisalign and over 35 years of experience in treating patients with conventional orthodontic treatment using braces. You and your family can relax, knowing that you are being cared for by experienced professionals who will treat you like family. Come in and get to know us! We offer complimentary consultations for Dental Care for the entire family including orthodontics, Invisalign and Veneers for our community. We will perform a comprehensive oral exam and will sit with you to discuss your plans for dental or orthodontic treatment. Our goal is to make you feel comfortable and happy here! Give us a call today. 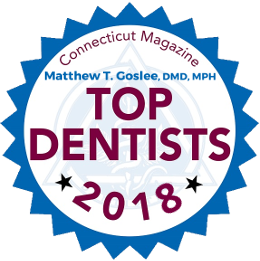 Our dental practice serves Bristol, Wolcott, Burlington, Terryville, Farmington Plainville, Southington CT (Connecticut) and surrounding areas- Drs. Howard J. Posner, Marc Henderson and Matthew Goslee are your family dentists, offering Invisalign and dental care for children, teens, and adults. Voted Best Dental Practice in Bristol! Imagine Nation in Bristol, CT is hosting a bowling fundraiser to support the education programs that benefit museum visitors and our early learning center students.